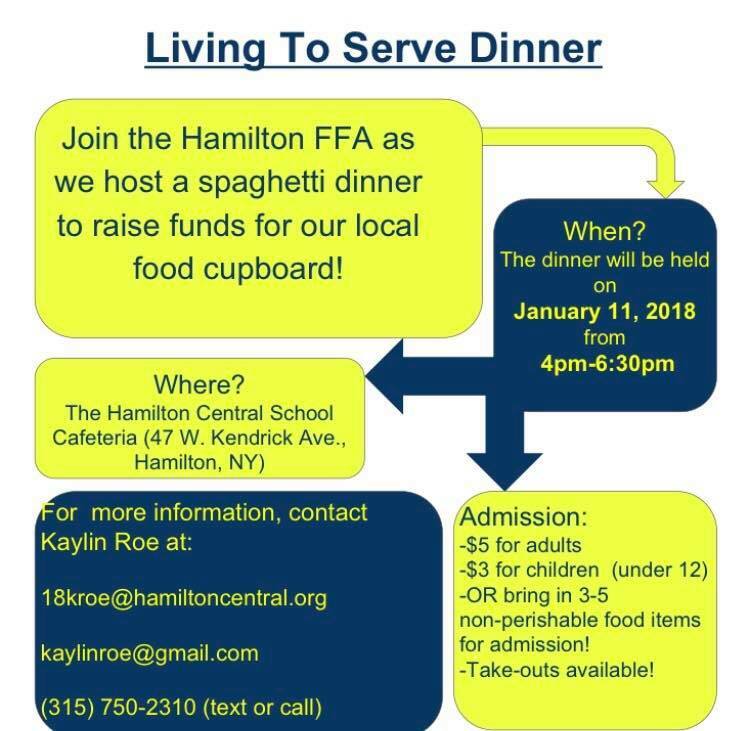 Mission Statement: The Hamilton Food Cupboard is an advocate for the hungry in the Hamilton and Madison school districts. The food cupboard feeds those in need while providing information on social agencies relevant to a patron's specific needs. What we do: Each month between 150-200 families from the Hamilton and Madison school districts visit the food cupboard. There are several issues that bring families to us, either on a regular basis or a one time visit. Loss of jobs, low paying jobs and health issues combined with the ever rising price of food and living expenses are some of the reasons families come to the Food Cupboard. Our volunteer staff and director also make referrals to other assisting agencies, if possible. How we do what we do: We rely heavily on community support, financially and in donated goods. We also receive monetary and food donations from churches in the area, local colleges and civic organizations and service clubs.